2015 has been an amazing year! 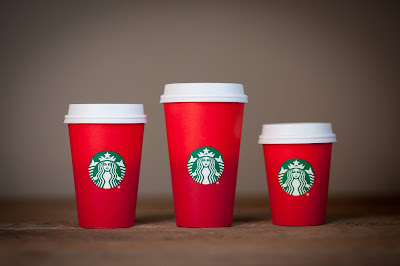 Check back for a year-end post next week recapping this year and where my family is headed in 2016. As I was reading the election coverage from various races and ballot initiatives that took place yesterday, I have been fascinated by the media coverage. Liberal news outlets are stunned that voters listened to what they refer to as the deceptive campaigning of conservative candidates and conservative opposition to various ballot initiatives. The general premise has been that had voters actually understood the platforms of candidates or what ballot initiatives would actually do, surely they would have voted in support of these candidates and various new laws/ordinances. Curiously, it doesn’t seem to register with much of the media that perhaps voters are unhappy with the progressive direction liberals are trying to lead the nation, many states, and local municipalities. Government of the people, by the people, and for the people means that when we the people vote, we are expressing our views, values, and desires in terms of the direction we want our leaders to go. The presidential election cycle and all of the races downstream will be quite interesting to watch. The presidential field will inevitably narrow but we will be left with some candidates that are controversial to say the least. Leaders within Evangelical Christian circles continue to very vocally express their dismay (or disgust) at the fact that some in their flock would even consider casting their ballot for Donald Trump. Oddly, some of these same leaders enthusiastically endorsed the 2012 candidacy of Mitt Romney, a member of a religious cult in the eyes of most Evangelical Christians. The reality is many ordinary people are simply tired of all of what they see in our national politics and want someone, anyone, other than the usual politicos who, frankly, they simply don’t trust. And let’s be honest, who can blame ordinary people for feel that way? If this year’s off-cycle results offer any hint about the mood of voters for 2016, it may be that we the people have had quite enough of the constant push to the left. Maybe, just maybe, the folks are tired of being politically correct. Maybe, the folks don’t think more people should be smoking marijuana or that men should be allowed into the ladies restroom just because some fella says, “today I’m a woman.” Maybe, the folks are ready to push back against the notion that people have a right not to be offended. To be sure, there is a great shift in the culture of American society taking place. To deny this is to bury one’s head in the sand. However, that does not mean that all, or even a majority of Americans are eager to continue following the liberal pied pipers of our land now that they know where they are being led! 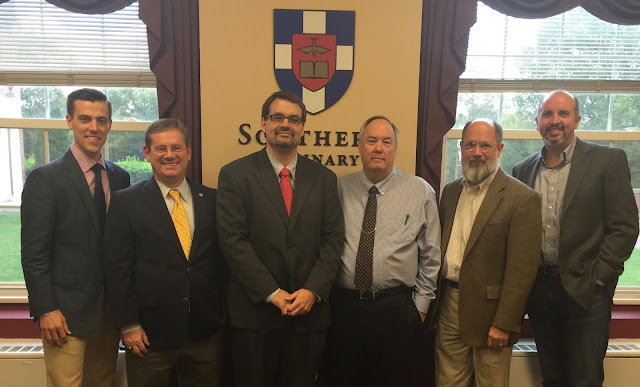 I am pleased to let my readers know that along with two other members of my Southern Seminary cohort, I have successfully completed oral defense of my research. I am so grateful for the opportunity to study with the ten men in our cohort and to do so under the teaching of such godly men who seek truth, desire to serve the church and reach the world, all for the glory of God. Further, we couldn't have asked for a better committee to guide our research, writing, and help us sharpen our work. Myself, Gibson, and Cannon all have some minor revisions to make before the final draft of our respective research is ready for publication but our next stop is graduation December 11, 2015 on the campus of The Southern Baptist Theological Seminary. If you are considering theological education at the undergraduate, graduate, or doctoral level, I urge you to include The Southern Baptist Theological Seminary in the list of schools you are considering. It is a significant investment of time and treasure in yourself and the kingdom of God. The academic rigor of the various programs of Boyce College, the School of Theology, and the Billy Graham School of Missions, Evangelism, and Ministry are without question among the best in the nation. The shaping on your thinking on the issues of the day is both relevant and practical, and the relationships you will create will last a lifetime. Sign up for a Preview Day and come see! Those of you who have been following my journey since 2009 offering your prayers and encouragement, THANK YOU! No one arrives at a milestone like this alone and I have a list far too long of people to thank. My wife, Melisa, and children, Joshua and Hannah, have put up with me constantly having my nose in a book or working on a paper for the last six years and have done so with a smile. I love you so very much! Dr. Richard Walker, Senior Pastor of Macland Baptist Church, encouraged me to follow God's call on my life to vocational ministry. 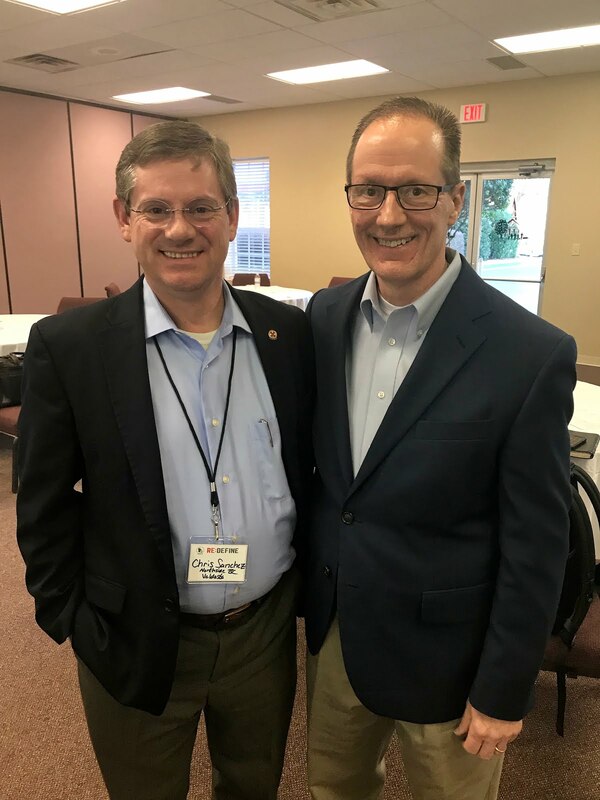 Dr. Maurice Hollingsworth, Senior Pastor of Shelbyville Baptist Church, encouraged me to pursue my theological training at one of our Southern Baptist seminaries. I'm glad I followed that advice when I enrolled at Southern. 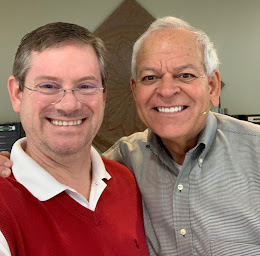 Allan Taylor, Director of Christian Education for LifeWay Christian Resources and the former Minister of Education at First Baptist Church Woodstock, constantly encouraged me to maintain a balance in my life of being a husband & father, serving in the local church and continuing my studies. Also, my pastor, Johnny Hunt, Senior Pastor of First Baptist Church Woodstock. Always an encouragement and always willing to share an uplifting story at just the right time. 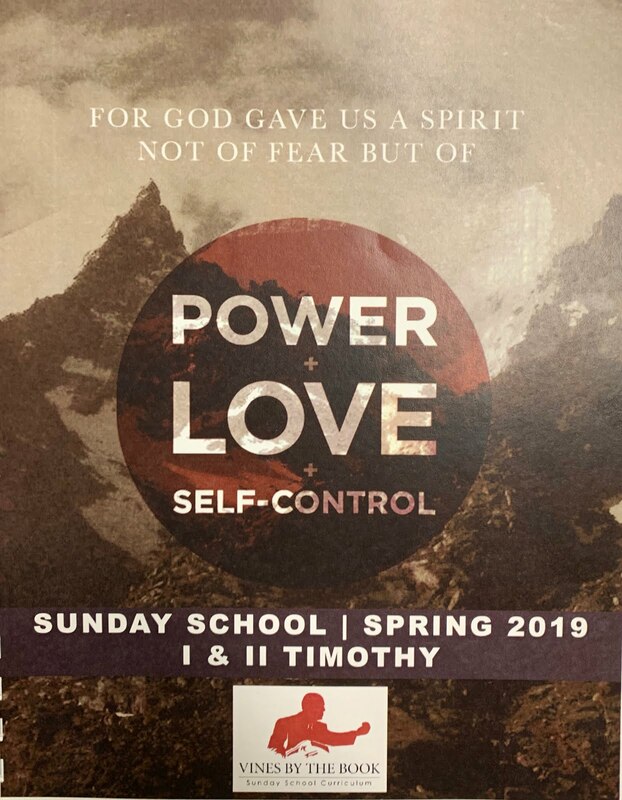 Finally, I would be remiss if I didn't mention my Sunday School class. We have been together for nearly two years now and you have never wavered in showing your love and support as I worked through the Doctor of Education program at Southern. I love serving you and love doing life together with you. I am truly blessed! 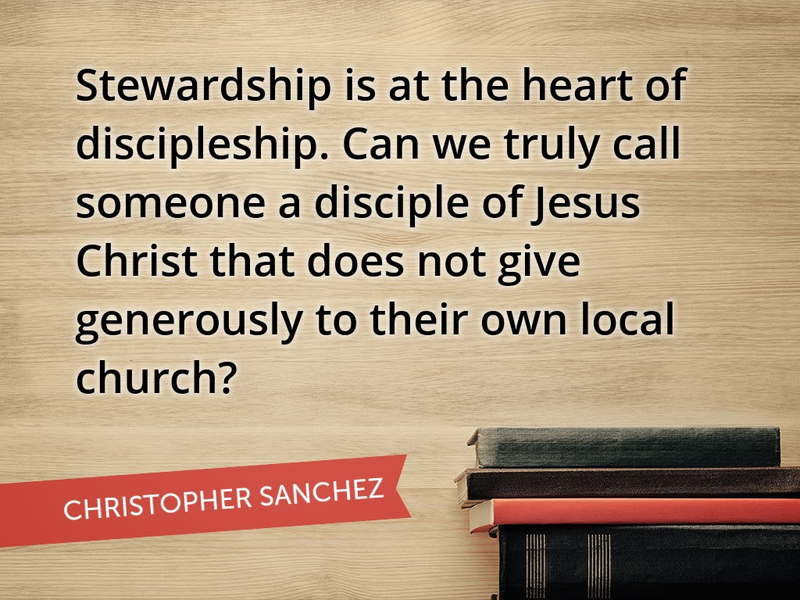 As a Southern Baptist, I try to keep up with the happenings going on within our convention. I am especially interested when national media features an interview or article from one of our leaders. 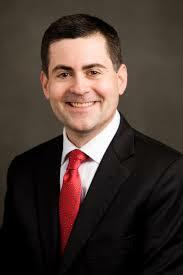 I was not surprised to see Dr. Russell Moore, President of the Ethics and Religious Liberty Commission of the Southern Baptist Convention, publish an op-ed piece in the New York Times following the Republican presidential debate that took place last night. a) With huge amounts of money in national politics, a great many people believe politicians are corrupt. Trump does in fact have the resources to run a self-funded race without even the perception of being in the pocket of large donors. Average people care about that. b) A great many people simply cannot understand why neither political party addresses illegal immigration. In the minds of many, laws have been broken and yet nothing is done. Average people care about that. c) There is no disputing that American military veterans are poorly cared for once they leave active duty. This is yet another problem that has persisted under administrations of both political parties. Average people care about that. d) Trump knows his life has unfolded in the public eye and is not trying to hide his past from prying eyes. Whether true or not, there is a sense of "what you see is what you get" with Trump that the other candidates have not yet replicated (perhaps with the exception of Carson and Fiorina). Average people care about that. Evangelicals have thrown their support behind candidate after candidate who have disappointed once in office. The perception that career politicians say one thing on the campaign trail and govern differently once in office, true or not, has incited anger in the electorate and frankly folks are fed up. Though Moore is absolutely correct philosophically and biblically, chastising Evangelicals for their disgust with the current state of politics will not change hearts and minds. Most Evangelicals I have spoken with do not consider Trump to be a serious candidate for president. However, those same folks are pleased that someone, even a man like Trump, has establishment politicians on their heels. 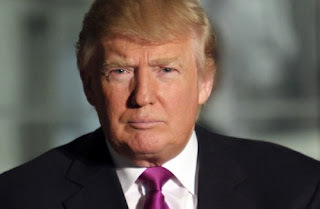 Trump has forced this wide field of candidates to sharpen their message and address areas of policy that likely would not have been discussed without his presence in the race and to do so much earlier in this election cycle. Like many others, I expect Trump’s campaign to fade as more and more voters begin to pay attention to this election cycle and the field of candidates inevitably narrows. I have found very few Evangelicals who consider Trump their first, second, or even third choice so I doubt strongly they will support him in the primaries next year when they actually step into the voting booth to cast their ballot. Could it be those so-called Evangelicals and social conservatives of which Dr. Moore speaks are anything but what those terms imply? Perhaps, but Dr. Moore is certainly in a better position than I am to make such a judgment. A word of warning: if Trump is polling at 25-30% support come February, look out. If America can elect Barak Obama twice to the highest office in the land, it can certainly elect Donald Trump, maybe twice. Some of my newer friends may not know I am a graduate of Liberty University (MRE 2012 / Liberty Baptist Theological Seminary) so when I comment on the happenings there, it is through the biased lens of a proud alumnus. So, having said that, there are a number of things that strike me about Sen. Sanders' visit, the first of which is how surprised nearly all of the media reports have been with the polite reception the Senator from Vermont received. To his point, he was treated like our students would want to be treated themselves. The fact that he was received in a positive way speaks volumes about the culture of LU. It also says a great deal about other schools who have treated conservatives in quite the opposite way in recent years, canceling appearances rather than actually provide an opposing view to better inform their student bodies. The second thing that jumps out at me is the notion that such an appearance is rare. It is not as common as Falwell and other administrators would like but that is not the fault of the school. Many liberal politicians and thought leaders have been and continue to be invited to LU but few accept. That says a lot more about those who decline to speak than it does about LU. Others could not look past differences on social issues. “How can he be for family values but also for abortion?” said Adam Ochs, a sophomore political science major from California. 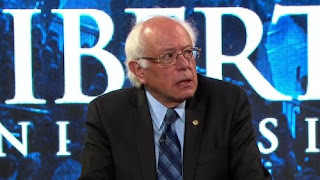 “I think it was Margaret Thatcher who said that the problem with socialism is that eventually you run out of other people’s money,” Mr. Falwell said in an interview after the event, making the case that he thought working toward a limited government and lowering taxes would “create the tide that rises all ships.” But he still found areas on which he agreed with Mr. Sanders. “We have the same goals, helping people in need, we just have different philosophies on how to get there,” he said. And there's the rub in our politics that seems to have been lost folks. More often than not, we do indeed have the same goals but very, very different ideas about how to get there. 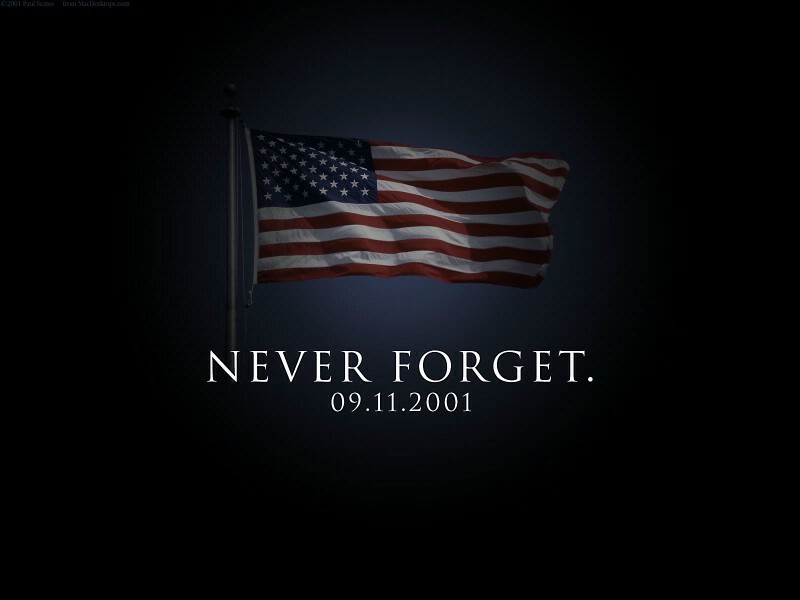 1) As I stood in the small cafe in the office park where I worked at the time and watched the second plane slammed into Tower 2, it became immediately clear that this was an intentional act and life as an American would never be the same. Fourteen years later, our nation has implemented controversial security measures that have prevented another attack yet I can't help but wonder at what cost. Our federal government now collects heretofore-unimaginable amounts of data about average citizens just living their lives. Police departments around the country more closely resemble the military unit I was in as a US Marine in the 1980s'. Closer to home, a couple of weeks ago when I attended a high school football game, an armed deputy sheriff stood at the gate with his hand resting all-too comfortably on the handle of his gun. It is sad that one of the results of these terror attacks is the perception of a police state in which we now seem to live. Did the terrorists win after all? 2) I wondered at the time what kind of world my son would inherit from our generation. He was only a few months old at the time and my daughter wasn't even born yet. I wondered what they would think about our handling of these attacks, later threats, and how the United States would present itself on the world stage. With the benefit of hindsight and the opportunity to learn from our mistakes, what might they do differently as the torch of leadership is passed to them in the coming years. Liberal or conservative, Democrat or Republican, none of the above: will they understand that collectively as a nation we elected the people we thought at the time would best represent us and that in spite of the deep differences in worldview, we genuinely did the best we could at the time? 3) America showed up for church in the weeks that followed in numbers not seen in over a generation. So many people turned to God and filled the pews of our churches. In some instances, they were comforted by messages intended to reflect patriotism telling them that our nation was strong and would endure this challenge. Many, too many, heard a lot more about nationalism and not nearly enough about the risen Christ. America showed up for church and a lot of churches failed those people by pointing them towards Christ only in passing, as an afterthought. Those lost souls deserved better. 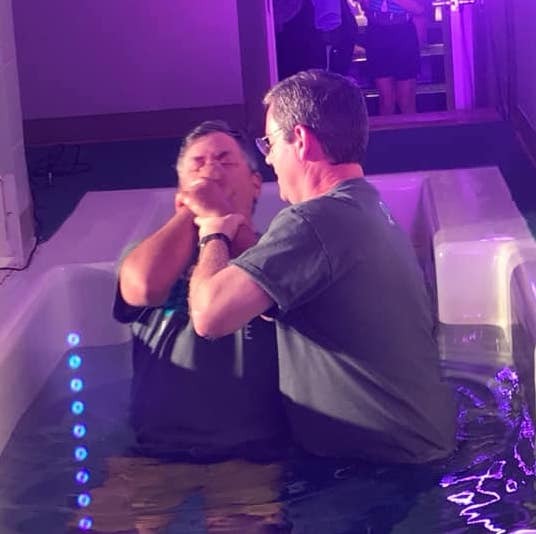 I am grateful that God placed me in this world, in this nation, at this point in history BUT that is secondary to my love of Jesus Christ and His atoning death on the cross at Calvary. We should have made much more of Jesus and not so much of the United States. America showed up at church; a lot of churches let her down. I wonder how different our nation might be if thousands of those people had accepted the gospel? God has blessed my wife and I with two amazing kids who are growing up to be wonderful young adults who love the Lord. 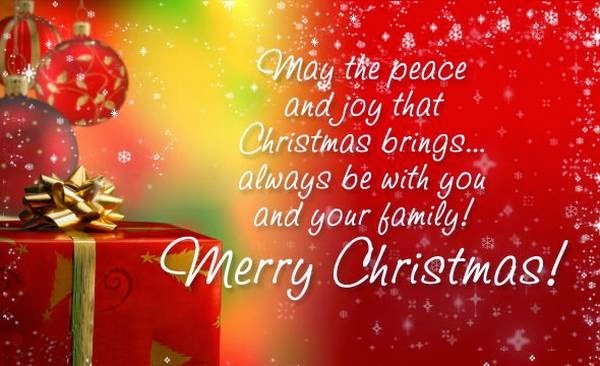 We live in a wonderful community with other families who, like us, just want to raise their kids, enjoy their grandkids, and live peaceful, quiet lives. I pray often for the families who lost loved one in the attacks. I pray often for the families who lost first responders who died trying to save others simply because that was their job. I pray often for the leaders of our nation that they might seek God Almighty as a key part of their decision-making process. I pray often for our churches that they may have a heart for our communities, our nation, and the world, even places where many would wish us harm. I pray often that God would help me to stay close to him and keep me clean. 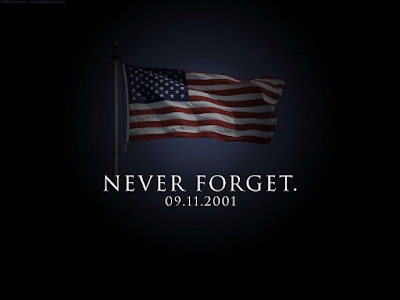 I will never forget what happened fourteen years ago this morning. Honestly, I don’t think I can.